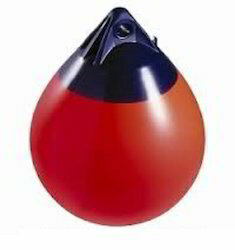 The float ability and unsinkability are guaranteed by 24 plastic modules which are inserted in a steel structure which also hosts the balancing bollard pull levers.The buoy is equipped with a Marimatech 250-ton quick release hook.On the hook there is a load cell, which measures with precision the mooring line tension. - Specializing in the design, development, prepare and distribution of aid to navigation equipment, Mobilis provides quality products. - Founded in 1990 Mobilis has stood out to be today one of the world leaders in the field of maritime signaling buoy. - Industrial member: IALA / IMHA, PIANC, FRENCH MARITIME CLUSTER, GICAN POLE MER.